Hunting for cross-border bargains is a way for consumers to get the 'best deal' across the EU's internal market. Shopping online makes these bargains ever more accessible. But sometimes things can go wrong: there might be a problem with the goods or with delivery. To avoid difficult, costly and time-consuming legal procedures, the European Union is facilitating access to justice for consumers in Europe, so that they can effectively enforce their rights. The European Small Claims Procedure is one of the solutions available to resolve cross-border disputes in cases involving €2,000 or less. 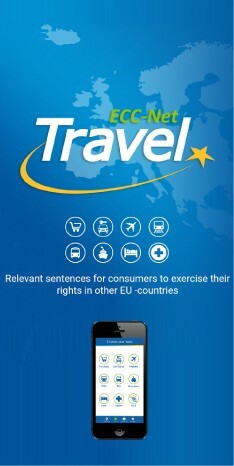 However, a new report from the European Consumer Centres Network (ECC-Net), released today, shows that this user-friendly procedure, available since 1 January 2009, is often under used. This is mainly because judges are not aware of the procedure – something the Commission intends to tackle vigorously. In 2010, in a project led by ECC Italy, European Consumer Centres (ECCs) in the 27 EU Member States investigated how the European Small Claims Procedure worked in practice. They found that the procedure is relatively unknown – not only among consumers but among judges as well. Although the European Small Claims Procedure itself is in principle straightforward and free of charge, the enforcement of the judgment resulting from this procedure is often protracted by the losing party. As a consequence, only a minority of the positive rulings made by the courts in consumers' home countries, are actually enforced across borders. When action is necessary to get a decision enforced in the country of the trader and in accordance with the laws of this country, consumers often abandon the procedure because the process for national enforcement is complex and can be expensive. In domestic markets, around 20% of European consumers report having encountered a problem in the past 12 months with a good, service, retailer or provider. The average estimated value of losses is €375 per case. 60% of consumers surveyed found a satisfactory solution directly with the trader but the remaining 40% obtained no remedy, of which 25% did not even try to complain. The number of consumers taking businesses to court when they have a problem is very low (2% of those who experienced a problem in the past 12 months). Many said they did not complain because the sums involved were too small (26%), they thought the procedure would be too expensive compared to the sum involved (13%) or that it would take too long (12%). present an evaluation report on the operation of the procedure (including court fees, the speed and the ease of use of the procedure) and if necessary revise the European Small Claims Procedure to make it work more effectively for consumers by, for example, increasing the threshold of €2,000 to cover bigger claims or further simplifying the standard forms used to make a claim. An Austrian consumer ordered surfing clothes from a German website. He paid €228 in advance via bank transfer. The trader never delivered the clothes and did not reimburse the purchase price. On the advice of the German European Consumer Centre, the consumer started a European Small Claims Procedure. The competent Austrian court in Linz issued a judgment in favour of the consumer, which was enforced by the German authorities in Charlottenburg. The consumer then received a refund of the purchase price. The European Small Claims Procedure (Regulation (EC) No 861/2007) is there to improve access to justice by simplifying cross-border small claims litigation in civil and commercial matters and reducing costs. It is one of the measures adopted within the framework of the justice policy of the European Union, especially conceived to help consumers enforce their rights and ensure access to justice in cross-border cases. It first entered into application on 1 January 2009. “Small claims” are cases concerning sums of €2,000 or less, excluding interest, expenses and disbursements (at the time when the claim form is received by the competent court). The judgment is made in the country of residence of the consumer, or in the country of the defending company should the consumer so choose. It protects his/her procedural rights and becomes directly enforceable in the country of the losing party and in any other EU country. The procedure is conducted mostly in writing using pre-defined forms. Representation by a lawyer is not required. As of 2013, consumers in around 5-6 pilot countries will be able to complete the small claims forms and carry out the whole court procedure online, via the e-Justice portal. Electronic versions of the standard forms are already available online (in 22 official EU languages).